Does Amazon Alexa have a future in diabetes management support? BY STEPHANIE BAUM: There were five finalists presenting at the Alexa Diabetes Challenge enlisting Amazon’s voice-activated, machine learning-enabled robot in New York City this week at Merck’s event. But one application that resonated strongly with attendees involves the potential to improve the mood of diabetes patients, many of whom struggle with depression that comes with coping with being diagnosed with a chronic condition associated with potentially life-threatening complications. OPINION: Congress should extend Special Diabetes Program for the U.S.
BY KERIDA MOATES: As Congress considers legislation to reform health care, one program I hope all of our leaders will work to renew is the Special Diabetes Program. As someone who has lived with type 1 diabetes for almost five years, I can attest to the complications associated with the disease and the impact it has had on my life. 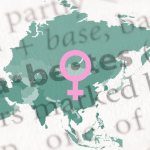 BY DANA DABELEA: From the SEARCH study, we have learned that the incidence and the risks of both type 1 and type 2 diabetes have been increasing for the past 10 years, especially so among minority children. Not only are these numbers burdensome, but these youth and young adults develop complications and comorbidities very early in life. The burden of such complications is worrisome in both type 1 and type 2 diabetes; perhaps 1 in 3 youth with type 1 diabetes and 3 out of 4 youth with type 2 diabetes have at least one such complication by age 21 and after only a short, 8-year duration of disease.